Defkalion lays down the gauntlet with an invitation for indepenedent testing of it's Hyperion LENR reactors. They predict that a COP of 20 or more will be determined by the independent testers. In a lengthy statement outlining the testing methods Defkalion stated "PDGT welcomes further requests from internationally recognized and reputable scientific and business organizations interested to conduct their independent tests on “bare” Hyperion Reactors." According to Defkalion, this particular invitation to test is entirely separate from the independent testing ALREADY scheduled to occur in the early part of 2012. "As it was announced in our November 30th Press Release, a series of third party tests on Hyperion products have been scheduled to be performed within the first months of 2012, immediately after our product’s certification. This announcement does not refer to such product tests." 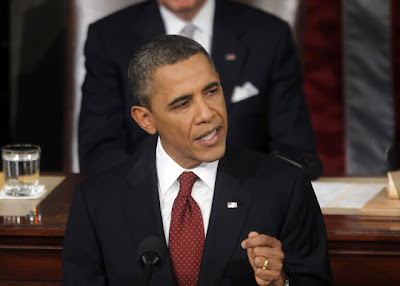 Obama State Of The Union: "Clean Energy Industry Never Been So Promising"
In President Obama's State Of The Union speech which has just been aired, Obama described a "clean energy industry that's never been more promising". In obvious reference to the control and supply of Iranian oil he looked to the future energy needs for the US "A future where we're in control of our own energy, and our security and prosperity aren't so tied to unstable parts of the world". As well as natural gas and other conventional energy, Obama made a commitment to dump oil company subsidies and proceed towards a clean energy future. But with only 2 percent of the world's oil reserves, oil isn't enough. This country needs an all-out, all-of-the-above strategy that develops every available source of American energy - a strategy that's cleaner, cheaper, and full of new jobs. The development of natural gas will create jobs and power trucks and factories that are cleaner and cheaper, proving that we don't have to choose between our environment and our economy. And by the way, it was public research dollars, over the course of thirty years, that helped develop the technologies to extract all this natural gas out of shale rock - reminding us that Government support is critical in helping businesses get new energy ideas off the ground. We can also spur energy innovation with new incentives. "The differences in this chamber may be too deep right now to pass a comprehensive plan to fight climate change. But there's no reason why Congress shouldn't at least set a clean energy standard that creates a market for innovation. So far, you haven't acted. Well tonight, I will. I'm directing my Administration to allow the development of clean energy on enough public land to power three million homes. And I'm proud to announce that the Department of Defense, the world's largest consumer of energy, will make one of the largest commitments to clean energy in history - with the Navy purchasing enough capacity to power a quarter of a million homes a year". Reading between the lines, Obama has clearly been briefed on the fact that LENR is rapidly coming of age as a replacement for polluting energy sources such as oil, coal and traditional nuclear power. This is the biggest signal yet from the US administration that we are moving to a new era of clean energy where oil subsidies are gone and replaced with incentives for clean energy developments. Energy from LENR (Low Energy Nuclear Reactions) although not directly referenced in the speech, will no doubt form one of the core clean energy technologies for the future. This speech (just like the recent Zawodny NASA video) is just another part of the drip feeding process, preparing the public for the inevitable transition to LENR. NASA Video: So what was all THAT about? What a bizarre week it has been. Most puzzling of all has been the amazing NASA video which went to great lengths to extol the virtues of LENR, promising us a world of clean abundant energy before being shot down in flames by the same people who made it. As you do. In our original post discussing the Zawodny NASA LENR video we said "This video by NASA seems to validate the work we have been seeing recently by Rossi, Focardi, Piantelli and Celani and the claims that LENR (Cold Fusion) is a valid technology with enough power and potential to completely replace fossil fuels and polluting nuclear power." So in no way did we single out the work of Rossi and his eCat. What we said was that the NASA video validated LENR as a valid technology and Zawodny confirms this in his blog. It does not matter who crosses the finish line first, what matters is that LENR becomes integrated into our lives and we start to drag ourselves out of 19th century energy generation. This is just an opinion, but If Zawodny is backtracking both by dissasociating himself and his work from "official" NASA control and by claiming LENR is not commercially viable then that's NOT what the video is hinting at. Want proof? Read the comments on the YouTube page and you'll quickly realise that people are certainly not interpreting the video as merely proof of excess heat. Can NASA REALLY say they are surprised at the public reaction to the video? The video has the official NASA logo stamped all over it, it repeatedly refers to NASA scientists and NASA patents. Meanwhile the video contains images of trucks, planes, ships and other power hungry transportation and hardware that presumably could be powered by LENR, so why are those images in the video if it was not intended for people to read this conclusion? What was the purpose of the video then? If it was to simply confirm that LENR produces excess heat and that it has real potential for the future then it's dead simple. Don't put trucks and planes in there. And how does one go about getting a video onto the official NASA technology portal? I'm willing to bet that anything going on there needs some sort of official sign-off and approval from a MUCH HIGHER AUTHORITY. Was it the censors day off? And what about the timing of the release of this video? Is it just a coincidence that several LENR researchers (including Rossi) have been confirming USEFUL results and plans for commercialization? Is Rossi's seemingly rampant march towards commercial products pushing NASA on information release a little quicker than they would have liked? It could be argued that the video was intended to go out with the intention of slowly drip feeding the public and preparing them for this new technology and that slowly over time this would have ramped up until we accepted it like it has always been that way. How do you boil a frog? - Very slowly so that it barely notices the slow rise in water temperature. What ACTUALLY appears to have happened (and again this is only an opinion) is that NASA miscalculated the amount of public interest in LENR generated by Rossi over the last year. After realising that the public reaction was BIG they quickly moved to pour cold water on the story before it hit the global mainstream media. Their planned slow drip-feed may have turned into a potential Tsunami ahead of time. Again, this is just an opinion, so no-one needs to get their knickers in a knot. But buried in this whole story is a small but important fact and that is that Zawodny confirms that LENR in his professional opinion has been shown to produces excess heat. Essentially LENR (cold fusion)works! Just try getting an official government agency to admit cold fusion was a real prospect even 12 months ago and I could have sold you a bridge in Brooklyn. Can Pons & Fleishmann now get an official apology? Will the scientific community now admit they were wrong? Where are the old establishment oligarchs now? The ones who made sure cold fusion was killed off before it even got started. In terms of the bigger picture, Cold fusion is no longer a dirty word. National and international official govt policies on LENR have been CHANGED. The question is who ordered it and why? Interesting new video released by eCat.com, apparently filmed in Bologna on January 12th shows the / a 1MW eCat plant. Rossi discusses his plans for product marketing. EXCLUSIVE: Is 3M one of the 1MW eCat Customers? In late 2011 we received information from a source that suggested international conglomerate 3M was one of the first customers who purchased a 1MW Industrial eCat (Energy Catalyzer). The energy catalyzer is a revolutionary LENR technology which uses miniscule amounts of powdered Nickel and pressurized Hydrogen to produce vast amounts of energy. The energy catalyzer (if verified) has the potential to revolutionize every aspect of life, geopolitics and finance on the planet. 3M are one of the world's largest companies who are very well respected for their products and are internationally known. Free Energy Truth put the question directly to 3M for clarification. We asked - "I’d like to know if 3M have purchased a 1MW eCat reactor from Andrea Rossi (Leonardo Corporation) or have any business relationship with Rossi or his Leonardo Corporation? " "Andrea Rossi is the inventor of a revolutionary new energy technology LENR (Low Energy Nuclear Reactions). There was talk that the company that purchased the reactor was 3M, so I’d like to get clarification from yourselves as to whether this is based in truth or not. Can you provide me with some sort of statement either way on 3M’s position regarding this and any involvement in this new revolutionary energy device?" Free Energy Truth received the following brief statement via email from a 3M spokesperson at their St Paul Headquarters. "It is 3M's practice not to discuss our business involving specific individuals or companies. Thank you." 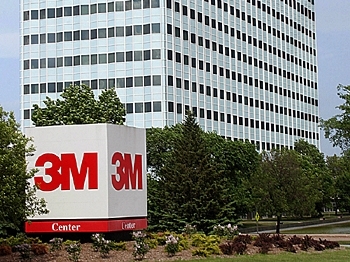 According to Wikipedia - "3M has over 80,000 employees, they produce more than 55,000 products, including: adhesives, abrasives, laminates, passive fire protection, dental products, electronic materials, medical products, car care products (such as sun films, polish, wax, car shampoo, treatment for the exterior, interior and the under chassis rust protection), electronic circuits and optical films. 3M has operations in more than 60 countries – 29 international companies with manufacturing operations, and 35 with laboratories. 3M products are available for purchase through distributors and retailers in more than 200 countries, and many 3M products are available online directly from the company."